When the celebrations and fuss of Christmas have subsided, many people gear up for the New Year, which is often another social time with family and friends. Amidst all the excitement and preparations, a sneaky but persistent thought can quietly enter the mind: What will my New Year’s resolutions be? Each New Year is like turning a page in the story of life. It’s a new beginning and the page is always blank. The new page is waiting to be filled with the next part of each person’s life story. The twists and turns of the plot of life can be complex, or they can be simpler than the average novel. The exciting thing about your story is in the here and now. The decisions you make, the circumstances, environments and people you encounter, all colour the images in your story. Will your story this coming year involve romance and adventure? Or will it perhaps follow more serious themes such as politics, philosophy or religion? How will you engage with issues such as justice, success and failure? What will be your response to the darker side of human behaviour such as disrespect, abuse and robbery? What priorities do you want to set in your New Year’s resolutions? You might ask, “What do I wish others to remember me for this year?” It might be an admirable characteristic, a material achievement or both. On the other hand, what do you want to remember about yourself through this year? That you wrote your life’s pages clearly and concisely, with purpose and direction, or that you threw all possibilities into the wind and reacted to how they organised themselves? Other questions might be: Are there things to avoid, so that I do not make the same mistakes again? Are there areas of self-improvement that I can take note of as I compose the pages of my life story for this year? How will I go about realising these changes? In what ways do I want to be different and what do I want to continue in my story? As you write the pages of this New Year, will you be discerning about where you go and who you are with? How much time will you devote to communicating with the important people in your life? What will be the quality of the physical, mental and spiritual environments that will influence your story? All writers experience some dry times in their creativity when words just will not come. How will you make sure that you stay on track and produce quality writing that will be sought after by a publisher for readers to enjoy when your life story is finished? Will your readers find your life story challenging and enriching? Two thousand years ago a unique human Being stepped into the blank pages of our human story—the Man, Jesus Christ. His story had been foretold in the Scriptures of the ancient Israelites. He communicated with these people and led them through many experiences and events. But few people recognised Jesus as God’s Son and many rejected Him. Jesus’ parents were a young woman and a carpenter, both from one of the poorest areas of Israel. He was born in a stable and greeted by shepherds. Later, in contrast, world leaders from countries to the East came to visit Him. Mary and Joseph had to flee by night to Egypt to avoid a death threat against Jesus by Herod, the representative of the occupying Roman forces. Sometime later, Jesus returned with His parents and Joseph taught Him the trade that would continue to support them. At age 30, Jesus left His job to heal and teach His people. Quickly Jesus’ followers recorded as much as they could of His teachings, which have heavily influenced civilisations since. The pages that they wrote formed the testimony of those who had been with Him and the advice that He communicated to them about the rest of human history. In fact, Jesus described history before it happened. 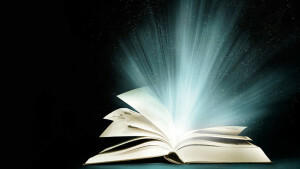 During 2012, more than six billion stories will be written on trillions of blank pages. Yours and mine will be only two of them, but they are all precious in God’s sight. His hope still is that we will accept His great offer of eternal life in His kingdom. This is only the beginning of a new story, written around a never-ending existence with Jesus in His perfect world. Sometimes it helps to start on one resolution at a time. Find a friend to support you and keep you accountable. Even better if they share you resolution. Write you resolutions down and put them in a place where you will see them regularly. Don't simply rely on willpower. Instead, focus on the emotional rewards you will reap for changing your behaviour. Why wait till New Year's Eve? If you really want to change something, there is nothing stopping you from starting now.